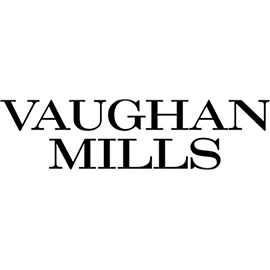 Vaughan Mills, capturing the best of super-regional, outlet centres and entertainment venues, is a must-see for shoppers, families, and tourists. It offers 18 anchors, a mix of full-price & branded outlets and entertainment including Canada's first and only LEGOLAND Discovery Centre, Bass Pro Shop Flagship, A|X Outlet, Aritzia, Banana Republic Factory, BenSherman, Calvin Klein, Cole Haan, DKNY, Forever21, H&M, The Outlet by Harry Rosen, hr2 Holt Renfrew, Hugo Boss Factory, J. Crew Factory, Lululemon, Michael Kors Outlet, Nike Factory, Toys R Us, UGG Outlet and Vince Camuto. Vaughan Mills is the perfect place to shop for those looking for exceptional deals and discounts.